Hey beach babes! Want to feel like you’re in an episode of Baywatch without the sunburn or bathing suit wedgie? Want to explore the world’s coral reefs without intoxicating them with harmful chemicals from sunscreen? Want to play beach volleyball without saying goodbye to the top layer of skin on your shoulders? Today we're talking about some common sunscreen myths. At this point, we all know we need to be using sun protection when we go outside. Skin cancer is no myth, that is for sure! So let's make sure we're all the same page with our sunscreen facts. There are some common misconceptions when it comes to using sun protection. So let’s talk about how to love the sun and your skin at the same time. Sunscreen myth #1—I can apply sunscreen once a day and be good to go! For those who spend most of their day at a desk, with short periods of sun exposure in between, applying sun protection once a day might work perfectly for you. However, if you are spending time outside, sweating, or wiping off your skin throughout the day, one application is not going to cut it. The FDA recommends reapplying sunscreen every two hours. SPF ratings are not meant to tell you how long you can expect protection while using a sun lotion, but a product labeled SPF 15 is supposed to to protect you for about 150 minutes. What SPF actually measures is the amount of sunlight it takes to make your skin red while using protection versus the amount of sunlight it takes to make your skin red when you don’t have sun protection on. Thus, the SPF value is a fraction, and SPF 30 is not twice as much protection as SPF 15, but rather a small percentage more. Whereas SPF 15 is supposed to protect from 93% of rays, SPF 30 protects against 97%. The new guidelines for labeling sunscreen products now state that nothing can be marketed as being anything higher than SPF 50. 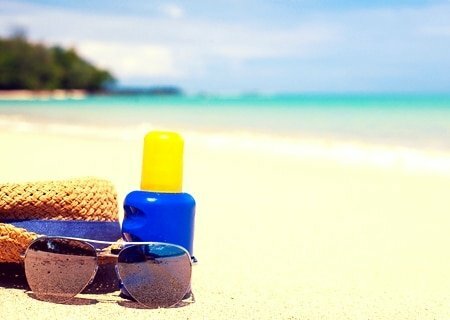 These products will now be labeled SPF 50+. Don’t let high SPF ratings fool you into thinking you can apply your sun protection in the morning then be a human starfish for the day! Reapply! If you’re using a sun protection product that contains zinc oxide, it’s probably because you’ve done your research and discovered that zinc oxide is considered the safest and most effective ingredient for broad spectrum sun protection. But if you’re applying it incorrectly, you may not be getting the full protection. With a zinc oxide product, you don’t want to be rubbing it in like a normal lotion. For those of you using Sun Love, the temptation to massage the cocoa-goodness into your skin is definitely there! Zinc oxide works on the surface of your skin, so for the best results, you should swipe it on without rubbing it in. Rub the product in only enough that you have a thin layer covering your skin. As of June 18th, 2014, the FDA released new guidelines for the labeling of sun protection products. The FDA has changed their regulations reflects a shift away from viewing sunscreens as 100% protection, and we do support that position. The FDA has now stated that products cannot be labeled “waterproof” or “sweat proof” as this is misleading to customers. Waterproof sun protection simply does not exist. The term “water resistant” can still be used as long as the product is labeled with a time limit of either 40 or 80 minutes. Thus, the longest you are guaranteed protection (at the product's full capacity) from UV damage while using even the most water resistant product is a little over an hour! Further, the ingredients commonly used to make sun lotions more water resistant are unhealthy. Silicones form a barrier on your skin, preventing it from doing the things it needs to do like sweat, regulate temperature, and get rid of dead skin cells. Though many brands will boast that these additives fill in wrinkles or make their product sweat proof, these ingredients do not do good things for your skin in the long run. Even highly rated products that are perfectly applied and reapplied often won’t block out ALL harmful light. Remember, SPF 30 blocks out about 97% of rays coming your way. Wearing protective clothing and limiting your exposure to the sun is necessary if you want full protection. If you’ve historically been too shy to don an opening day-esqe floppy hat, consider this your motivation. Sunscreen myth #5—The sun will affect me the same way, everyday. Our risk of burning from sun exposure actually changes based on several factors. Some parts of the world have stronger sun, causing you to burn more quickly. Altitude also adds to the burn risk because there is less atmosphere between you and Apollo. Reflective surfaces such as sand, water, or snow send the sun’s rays back up at you for round two! So even if you’re wearing a hat, you should be aware of rays sneaking up at you from below. Some less obvious factors are alcohol, medications, and detoxification. Research suggests that drinking alcohol prior to or during sun exposure can greatly increase your risk of getting sunburnt. I didn’t want to believe it either, but alcohol has been shown to diminish the levels of antioxidants in your body, which are normally working to guard your skin from damage. Some studies have been done and current evidence points to the sad truth: drinking makes you significantly more likely to get a sunburn. The medication you are taking can also make you more sensitive to the sun. Certain birth control pills, antidepressants, antibiotics and other medications can make your skin more likely to burn. Even over the counter pain relievers can have this effect! It seems horribly unfair and kind of makes me want to hide in a closet and cry (which, incidentally, would be a good move, skin wise). Right? I mean, you’re on medication and you could totally benefit from some happiness-inducing rays, but your skin is not up for it. Alas, we must cope. Make sure you check if your medication make you photosensitive and, if so, take extra precautions in the sun! This last one might be the least obvious: detoxification can make you more sensitive to the sun as well. If you’re knee deep in a juice cleanse and wondering why your skin is pink, that might be why! If you normally eat a clean diet but have recently faltered, you could also be expelling impurities at a higher rate than normal and thus may find yourself similarly more susceptible to sunburn. As you move forward with your quest to find the happy medium between hiding in your closet to avoid the sun and basking in it without reservation until “cowhide’ becomes an appropriate description of your skin, know that we are with you! Which sunscreen myths have you fallen for?